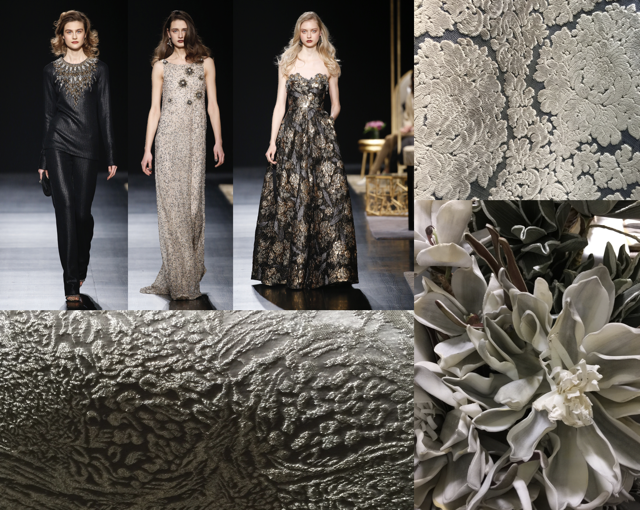 Badgley Mischka #FW17 fashion with textiles I saw trending at Heimtextil in January. I’m thrilled to announce that I am producing the first in my Modern Salonnière series of events during High Point Market next month. With this and every salon to follow, I will explore subjects relating to graceful living, which French salonnières during the 17th and 18th centuries elevated to an art form. I will be inviting arbiters of taste who express the spirit of the times in which they distinguish themselves to share their ideas about refinement in all of its manifestations. During this particular salon discussion, trends in textiles will be the focus. My six panelists for the first Modern Salonnière series at Henredon. 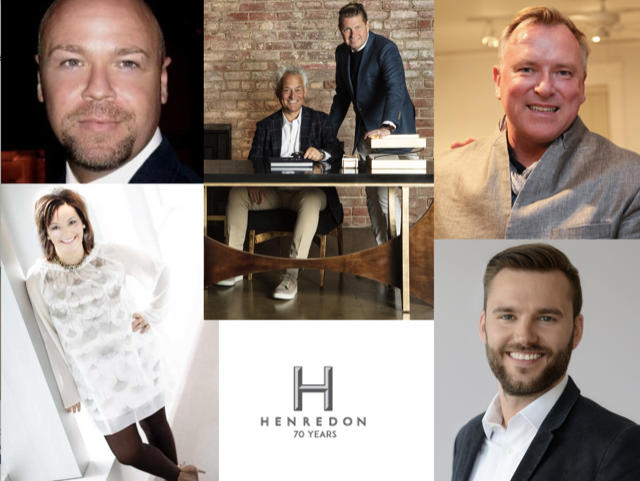 If you’re in High Point, please join me on Saturday, October 14th, in the new Henredon showroom (#500 on the 5th floor of the Market Square building) to hear six distinctively forceful voices in home and fashion design as they illuminate how textiles influence them and their work, and how they spot trends in materials. My panelists are Mark Badgley and James Mischka, founders of Badgley Mischka and Badgley Mischka Home; Krissa Rossbund, Senior Style Editor of Traditional Home; Thimo Schwenzfeier, Director of Marketing and Communications for Heimtextil, Messe Frankfurt; Skip Rumley, VP + Creative Director of Heritage Home Group; and Bruce Andrews, Chief Creative Officer of Bruce Andrews Design. Beginning at 2:30 p.m. and lasting until the panel discussion gets underway at 3:00, Bruce and Skip will conduct a preview of the Park Avenue Collection, which Bruce designed for Henredon. Once the discussion begins, they will share how they collaborated to source fabrics for the collection. Mark and James will discuss those points where fashion and home décor intersect to create some of the strongest trends they not only see but often set when their fashion takes to the runways and their décor products debut at Market twice each year. The final flourish of the #SS18 Badgley Mischka runway show that took place last week during New York Fashion Week. “Fashion, travel and décor relate in our eyes,” James explains. “The process of designing a space or a product for the home is similar to how we design clothing. The inspiration flows, then the form and the materials become clear. It’s how it works every time we debut new designs.” Thimo will share far-reaching global trends in textiles that have been identified by the trend-table team of internationally acclaimed forecasting agencies who present their predictions during Heimtextil each year. And Krissa will highlight tendencies she’s seeing in the home design arena in forthcoming lifestyle stories she is producing for Traditional Home. 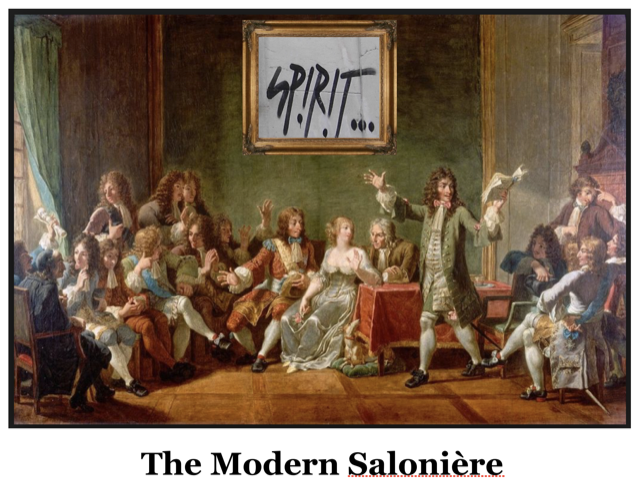 My inspiration for this series springs from an insatiable fascination with the society in which the salons developed during the ancien régime in France. The great salonnières of that era included Madame de Rambouillet, Madame de Longueville, the Marquise de Sablé, Madame de Sévigné and Madame de Maintenon, their goal always to elevate conversation to an art from, to create models of ideal behavior, and to reach aesthetic perfection in every way possible. This last objective is near and dear to me, as I believe it is to many others in the design industry who are keen to see quality and aesthetic beauty take precedence over all other considerations. 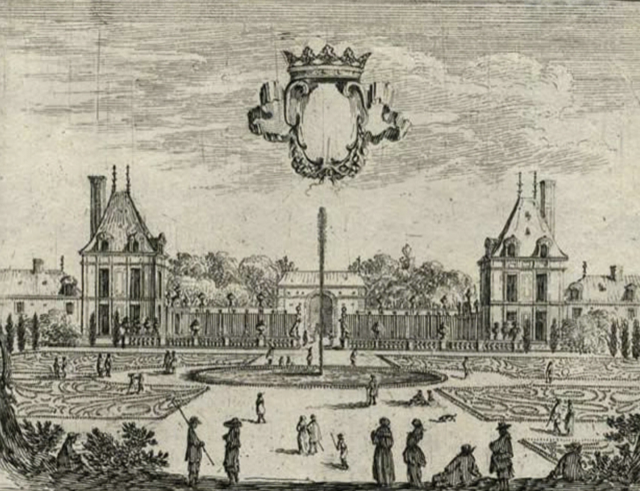 An engraving of Hôtel de Rambouillet that was near Port Saint Antoine in Paris. 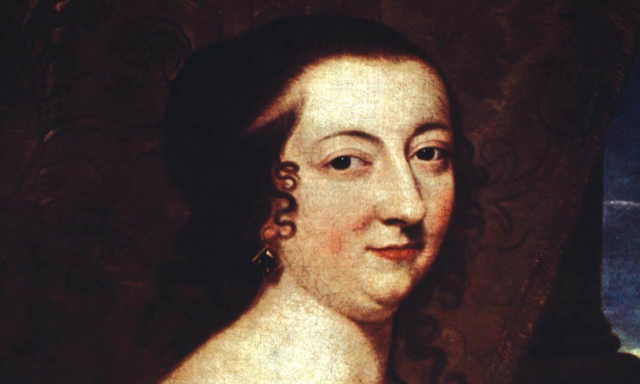 As a quick example as to why France’s salonnières could be such excellent role models for us in the home décor market today, I’ll use Catherine de Vivonne, who held her famous salon, the Chambre Bleu, in her Parisian château, the hôtel de Rambouillet, on rue Saint-Thomas-du-Louvre beginning in 1618. Aesthetics were so important to the marquise that she took it upon herself to act as architect and interior designer so she could create a backdrop for her life and her salon that would uniquely express her essence. It drew rave reviews during a remarkably exacting era when refinement was at an all-time high. 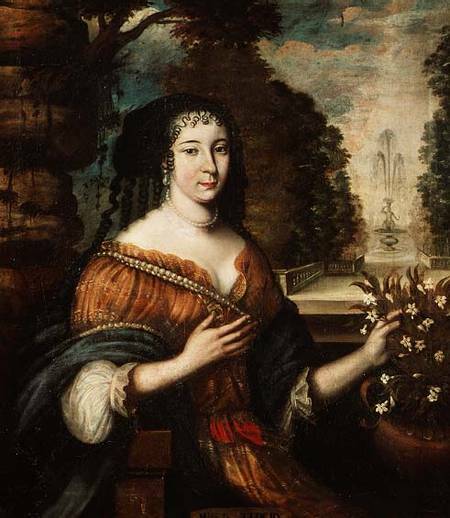 Catherine de Vivonne, one of France’s greatest salonières. This painting of Mademoiselle de Scudéry serves as a testament that textiles always set the trends. What I believe this illustrates is that when trends are viewed through the lens of history, it’s easy to see how the strongest examples of avant-garde ideas survive to become time-honored traditions. It will be so enjoyable to hear the examples the panelists give for inspirations that have passed their trend-worthy litmus tests, particularly those they feel could easily stand the test to time. If you’d like to attend, please leave a comment on this post or RSVP by email as space is limited. I hope to see many of you there! The Modern Salonnière and Artful Conversation on Trends in Textiles © Saxon Henry, all rights reserved. Saxon is an author, poet and strategist whose books include Anywhere But Here, Stranded on the Road to Promise and Four Florida Moderns. Sounds wonderful, I will be there! I’m looking forward to seeing you, Gary!